Situated on the coast of Tenerife in the bustling resort community of Puerto de la Cruz, the newly remodeled Club La Paz is a vacationer's paradise. Complete with all the amenities and boasting some of the most luxurious apartment-style guest suites in all of the Canary Islands, the resort is the perfect getaway destination for families and couples. The studio, one- and two-bedroom timeshare apartments are fully furnished and contain all the necessities of a true holiday home. 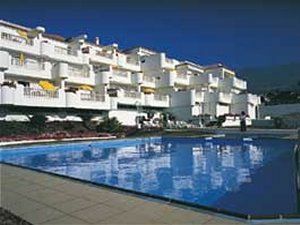 These Tenerife timeshares for sale offer every comfort one would expect at a five-star hotel. The hotel itself overlooks the sea and is the perfect jumping-off point for exploration of the island. Fun in the sun, beach sports, and great shopping are all just minutes away. Club La Paz contains studio, one-bedroom, and two-bedroom timeshare suites, all of which have a panoramic view of the ocean from the private terraces or balconies. Each unit has a full kitchenette with all the necessary appliances and cooking equipment. The master bedrooms are spacious and include a full bath with whirlpool. 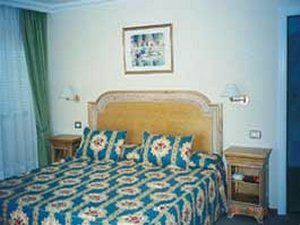 The two-bedroom apartments have a second bedroom with double or twin beds. The dining area comes complete with full table and chairs. All units have modern air conditioning systems. Those who choose to make Club La Paz their holiday home while on vacation in the Canary Islands will find it hard to leave after enjoying all that this spectacular resort has to offer. A sparkling outdoor pool surrounded by a full-service pool bar and sunbathing area, a fabulous on-site restaurant, and the adjacent Jardines de la Paz botanical garden make this one of the most relaxing vacation retreats in all of Tenerife. The town of Puerto de la Cruz mixes the old with the new, with fantastic gift shopping and fine dining along the cobblestone streets. Guests at the resort enjoy sailboarding and kayaking, beach volleyball, and outdoor barbeques. Car rental assistance is available at the reception area, and the staff can help plan day trips to the popular landmarks on the island. With one of these Tenerife timeshares for sale, this resort can become the most memorable vacation destination of a lifetime. Contact Club La Paz Specialist Today!